We hope you find these handouts useful. Please feel free to download and share them. However, do not alter them, sell them or remove our copyright or logo. These handouts are only to provide general guidance. They are not intended to replace assessment and advice from a qualified Speech and Language Therapist/ Pathologist. If you are concerned about a child’s development, please seek out an appropriate referral. Comprehension tips General advice to use with a child that struggles to understand what is said to them. Expressive language tips Guidance and top tips for supporting children’s expressive language development. Speech sound tips How to successfully communicate with children who have unclear speech. Signing Information on why and how to sign with children, including ideas on where to start. *New* Making therapy fun! Ideas and tips on how to make therapy fun and keep children engaged. Questions to ask on school visits Choosing a school for you child with Special Education Needs and Disabilities (SEND) can be difficult. Here are some suggestions of questions to ask. Read in conjunction with this post. Useful Websites Websites and blogs that offer useful information. Top 10 Apps for 4-7 year olds. This app list is aimed at schools who are looking for apps to work on speech and language things for a variety of children. They will also be useful for parents and speech therapists. For more information about the apps, see this post. Top 10 Apps for 7-11 year olds. As above, this listed is aimed at schools and parents who are looking for apps to help support speech and language skills. For more information about the apps, see this post. Do you have a child just starting to babble and talk? These three handouts give lots of ideas on how to encourage the early words up, go and more. *New* We also have a short free course, Speaking clearly and confidently. Click on the picture to find out more and take the course. Also, click the picture below to join our mailing list and receive a free 16-page e-book, “Supporting children with speech sound difficulties”. 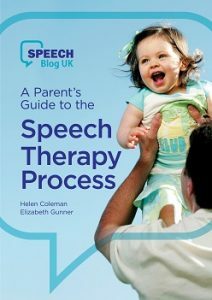 You can also buy our 123-page e-book, “A Parent’s Guide to the Speech Therapy Process”. Click here for more information. Glad you found them useful. Do check out the rest of the site too – we have posts on a wide range of speech and language topics. Let us know if there is anything in particular that you would like us to write about. Great – hope you find some useful information here. All of our posts have a Print-Friendly button at the bottom so they can be printed out and given out to parents and colleagues if needed. Do let us know if there is a particular topic you would like us to write about. Brilliant, I found your recent Facebook post. Nice to see someone in the UK supporting parents & key workers. My son was recently diagnosed with a servear speech disorder with features of verbal dyspraxia. Hope you find the site helpful. 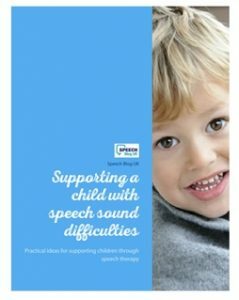 If you look at the “Start Here” tab, you can see some of our most popular posts – there is a section of posts about speech sound difficulties which you may find particularly helpful. We also have a “Parent’s Guide” e-book if you think that would be useful – you can find that on the shop page. My daughter is nearly 11 now and has ASD. She is verbal, but her speech is behind – disordered – missing connective words – difficulty word finding. Would your e-book be of use to us given her age / stage? Hi Carolyn and thanks for your interest. The e-book is not specific to a particular age-group. It is mostly aimed at people who are fairly early on in the process of accessing help. However, a friend of mine did some proof-reading for us – her child has had a Statement/EHCP for several years and she said she still found it useful. It talks about how to access therapy, other services that might be involved, how to support your child through the process, how to track progress etc. as well as how to access support through the education system. There are also two big chapters which are relevant to most people – one explains all the building blocks of communication to help people understand their child’s difficulties. Then the Top Tips section at the end gives general tips on a variety of areas. If you click on the shop page you can see the full contents page of the book if you scroll down which will hopefully give you an idea of whether it will be of use to you or not. I hope this helps. We’ve just gone through and go the ECHP and now chosen and got into our 1st choice SEND school. It has got some great info to digest. Please could you add the http://www.signalong.co.uk website link. Lots of parents, schools and local authority’s use their signing system. 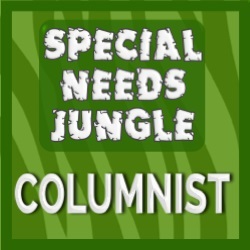 Have you any advise to help with a child who appears to be elective non-verbal. 7 year old boy, who stopped talking 2 years ago. Only utters ‘grunting’ throat sounds and finger pointing to identify needs. Odd others words, but no sensible meaning or connections. Without meeting the child it is very hard to say. Do they still talk to family or any other people? 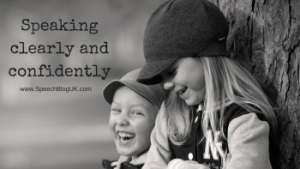 There is some great information available from SMIRA http://www.selectivemutism.org.uk/ which might help, but really the child will need referring to a Speech Therapist and possibly a paediatrician for assessment.